Tooth pain is the sort of pain that can make even the strongest among us feel helpless. It’s a pain we wouldn’t wish upon our worst enemies. Thankfully, restorative dentistry techniques can be used to reconstruct damaged teeth, making them whole again, but that means very little to a person who is going through searing tooth pain at the moment. That person simply wants the pain to cease. At Cosmetic Dentistry of New Mexico, we offer more than just the finest aesthetic dental procedures available. We offer a comprehensive range of treatments designed to relieve tooth and gum pain and return the mouth to an optimally healthy state. We can provide immediate relief from excruciating pain and then arrive at a definitive treatment plan for restoring oral health, form, and function. We invite you to read about the following common causes of tooth pain collected by our Albuquerque, NM dental team. However, if you are experiencing any tooth pain, please don’t hesitate to make an appointment at our practice today. The first thing you should do when you experience tooth pain is brush and floss your teeth. This may be enough to relieve whatever pain you are feeling, especially if the source of your pain is food or debris that has become stuck in between your teeth. However, if you continue to feel pain, or if it worsens, you should visit a dentist. Do not wait for the pain to pass. Structurally damaged teeth: Whether a tooth is compromised by injury or decay, structural damage can cause pain. Even if you notice damage but don’t feel any pain, you should visit our practice. Eventually, the pain will arrive if you aren’t proactive about preventing it. Gum disease: Especially in its most severe form, periodontitis, gum disease can cause general mouth pain, including tooth pain. As the gums pull away from the teeth, the teeth can also become loose, resulting in pain. Root canal infections: All of your teeth contain between one and four root canals, each of which contains a substance called dental pulp, comprising nerves, blood vessels, and nutrients. When this pulp becomes infected, you will feel pain. The best way to resolve this pain is through surgical removal of the infected pulp. The only other ways are to extract the tooth or to wait for the tooth to die and fall out. Teeth grinding: People who chronically grind their teeth are at risk not only for tooth pain, but also for jaw pain, neck pain, and head pain. If you are currently experiencing tooth pain, over-the-counter pain relievers such as ibuprofen can be used to manage the pain until your dental appointment, while ice can be used to control any external swelling. 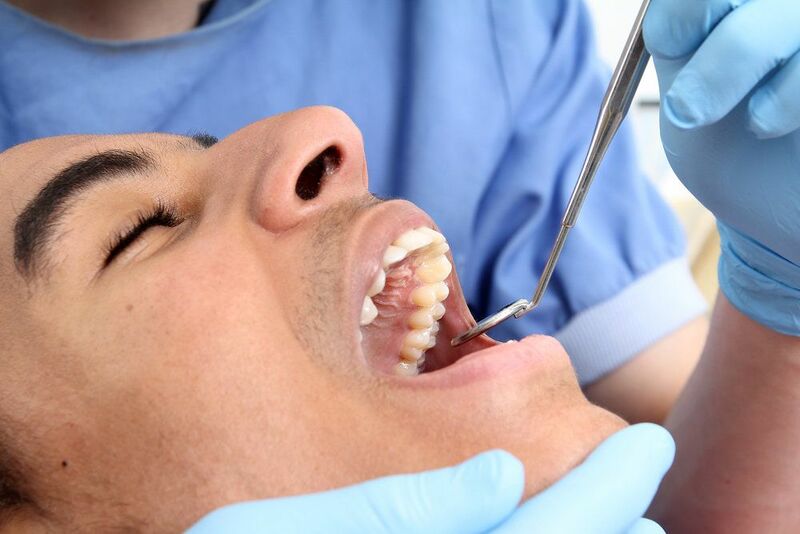 Any delay in seeking treatment, however, could result in permanent damage being done to your teeth. To learn more about the most common causes of tooth pain, or to schedule your appointment with Dr. Byron W. Wall, please contact Cosmetic Dentistry of New Mexico today.